I get a lot of requests from my customers for ideas for the non-christmas stamps at this time of the year. 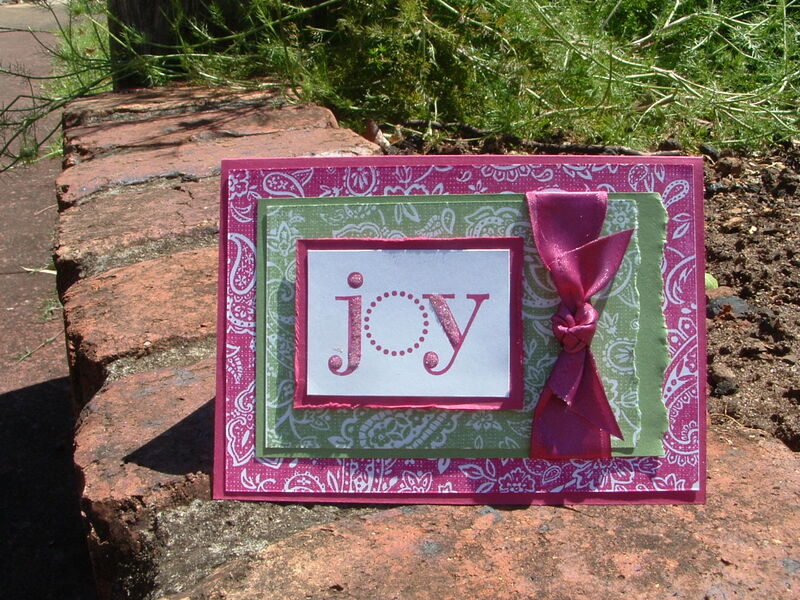 This card features the back ground stamp Paisley (one of my all time favs) together with Enjoy Every Moment currently featured in the spring mini Catalogue. Just a reminder also that the current mini will retire at the end of November and we don’t know if and/or when they may/may not appear ever again. So if you really want anything from that catty you need to place your order with me prior to the end of November. I really don’t know how I’m going to manage without the choc. chip and purely pomegranite satin ribbon! So there’s one suggestion for your non christmas stamps to become a beautiful Christmas Greeting. OMG Jacqui, you have a blog – too exciting!! Love your creations!! Love, love love these cards! 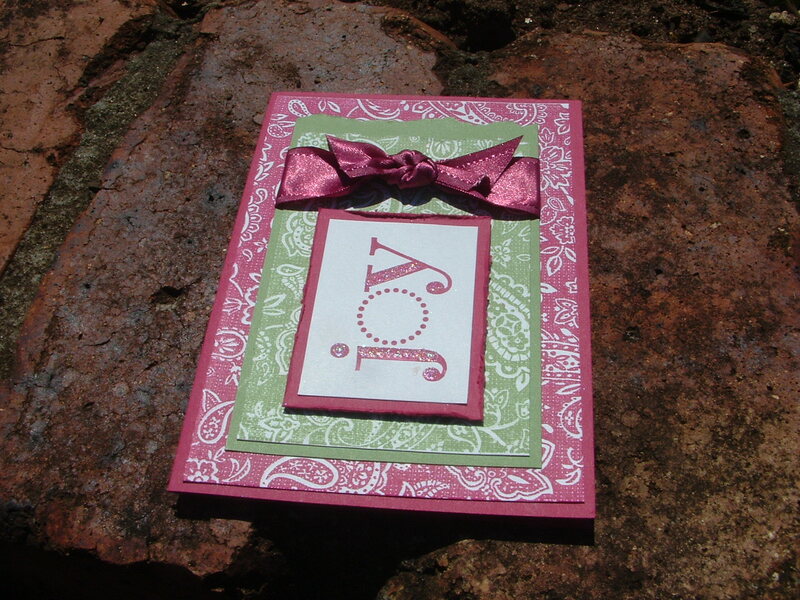 Oh Jacqui, these are breathtaking – gorgeous work darling!